The rumor was perpetuated by none other than TMZ which posted the following story. “I represent Janet Jackson. By this letter, I inform you that an article regarding my client that appeared on TMZ.com on August 14, 2012 is false and defamatory. That article is 'Michael Jackson Estate Offers to Pay for Janet Jackson's Condo'. Specifically, the article states that the Estate of Michael Jackson filed documents in the probate court requesting that the estate be permitted 'to foot a portion of the bill on Janet's mortgage on her posh Las Vegas condo'. That statement is false. I have not located any such request in the probate court records and in any event, the Las Vegas Home has never had a mortgage. Had TMZ bothered to check with any of Ms Jackson's representatives before running the story, it would have learnt that Ms Jackson purchased the home outright ten years ago for her mother's use. It would have learn that the home is not a "condo"; it's a luxury home in a gated community. It would have learnt that there is no mortgage on the home. It would have learnt that Ms Jackson was not aware of any request of payments from the estate related to the home and that she does not want any such payments to be made from the estate. It would have learnt that Ms Jackson provided financial support unconditionally to her mother before and after Michael's death and will continue to do so. But TMZ did not bother to ask for an input from Janet's representatives. Moreover, the article's intended implications that Ms Jackson demanded the payments from the estate and needs payments from the estate are false and outrageous. Ever since she was a child, Ms Jackson supported herself. She is a successful artist and very high net worth individual who has never had financial problems. She has no need for any such payments from the estate. As you know TMZ admitted that a story that it posted three weeks ago regarding Ms. Jackson contained false statements about her. The false statement contained in that story were repeated hundreds, if not thousand, times on other websites and in other media. The additional false story this week about Ms. Jackson on TMZ.com, posted with the knowledge that it would be repeated on hundreds of other websites, demonstrates a pattern of reckless disregard for the truth in TMZ's reporting on Ms. Jackson and strongly suggests that TMZ is engaged in a malicious campaign to defame her." Janet Jackson continues her descent into post-career madness: she’s charging her mother for use of her Las Vegas condo. Katherine Jackson has asked the Michael Jackson estate to increase her cost of living expenses so she can travel to Las Vegas and stay in Janet’s condo, which the “What Have You Done For Me Lately?” singer doesn’t live in or use. TMZ incorrectly reported–then removed–a story that Mrs. Jackson asked the estate to pay Janet’s mortgage. Untrue. Mrs. Jackson travels to Gary, Indiana, where she still maintains a home. And she likes to stay in Vegas. The estate will tell the probate court in its next report that they’re giving Mrs. Jackson funds to use for these stays. Janet — since the battles this summer over Michael’s estate–refuses to be generous enough to her mother, sources say, and just provide for her at the condo. “There’s no way the estate would ever pay Janet’s mortgage,” laughed an insider. But my question is: what is Janet Jackson’s financial situation that she’s become so publicly unglued over money? TMZ retracted its story...sort of...2 days after its mea culpa. But their current story is still ridden with speculation and sensationalism. 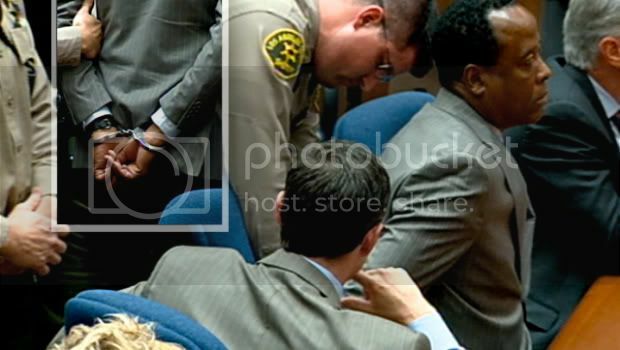 "On August 3, 2009, the Court authorized the Executors to pay a family allowance for the benefit of Mrs. Jackson and for the benefit of the Minor Children, effective the day of Michael Jackson’s death. Since that day, the Executors have paid the family allowance. Mrs. Jackson has requested al allowance in addition to the amount already approved in the amount of $34,700 per month for professional fees (certified public accountant and counsel) and expenses relating to the two properties not owned by the Estate—the family home in Indiana and a residence in Las Vegas and a one time payment of $205,041.000 to cover her professional fees incurred in 2012 which she has not yet paid. The Executors discussed the request with the Guardian Ad Litem for the Minor Children. She has requested that the Executors seek this Court’s instructions with respect to these requested increases. Therefore, the Executors request that the Court authorize them to increase the Family allowance for Mrs. Jackson retroactive January 1, 2012"
Translation: Katherine Jackson wants more money from Michael's Estate. 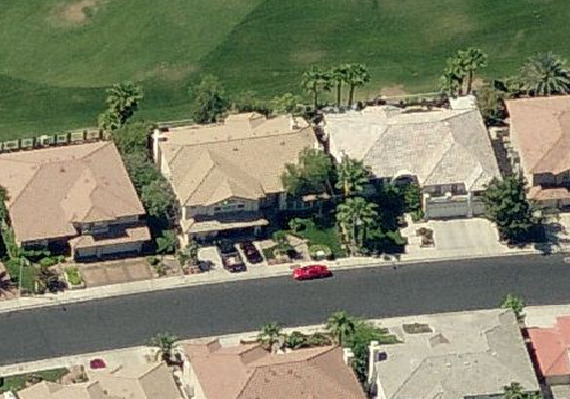 Janet owns a 4,636 square foot home located at 2469 Ping Drive, Henderson, Nevada. She never had a mortgage, she bought the property outright in January 2002 for $520K According to public records, Jamie Mendoza who was the trustee of Janet's Puffy Trust (Puffy was Janet's dog, now deceased) bought the property on Janet's behalf from Frank McClendon Jr and Jeani McClendon. Janet was named #7 of 20 Richest Women by Forbes in 2007. Despite TMZ's interpretation that the "residence" mentioned in the Estate's report is Janet's, it more than likely refers to the six bedroom home Katherine & Joe owns in Las Vegas. They bought it in 1988 for $292K. All this Janet Jackson slanders by tabloids is much ado about nothing. This is nothing but Katherine listing as many "expenses" as she can come up with to get money out of the Estate for those who aren't named in Michael's Will — except Janet.